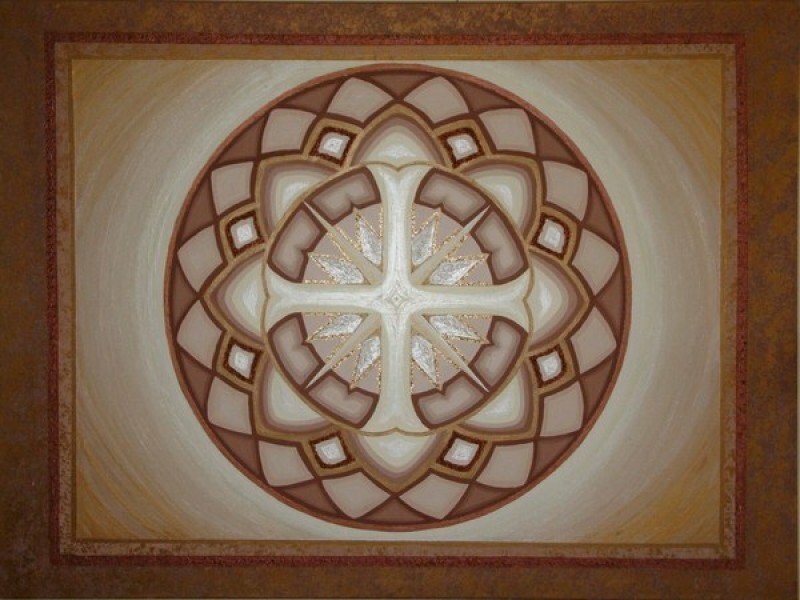 Bronze Cross | Artwork – Store – Tammi B. Ph.D.
Hand painted mandala 30" x 40" acrylic, mixed medium. One of the very first mandalas I painted. The intention was to bring balance to mind and heart, and bring heaven to earth.